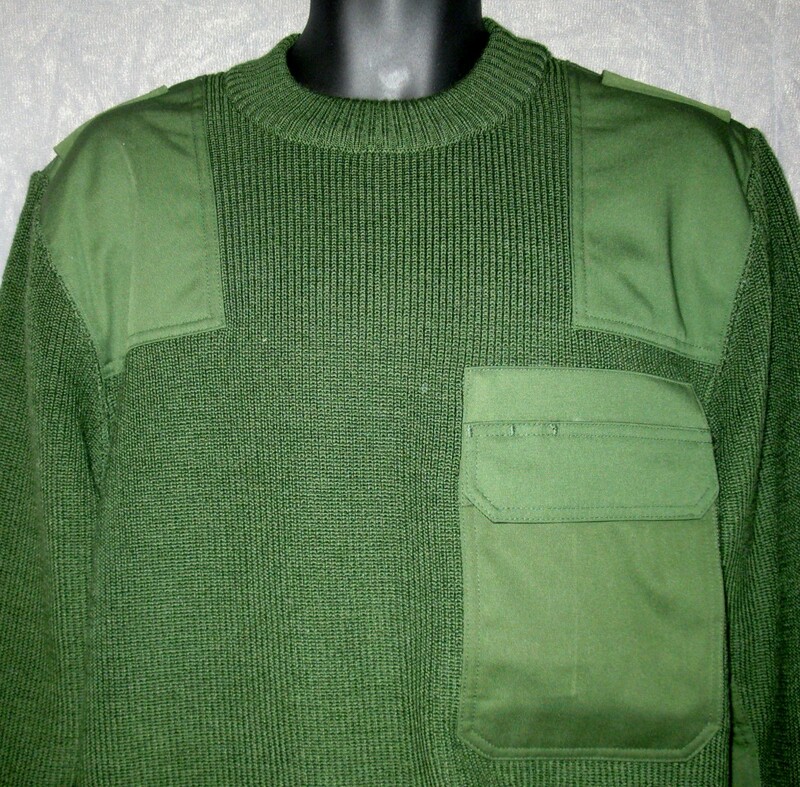 This is the ultimate wool jumper, heavy weight, warm, comfortable, durable and practical. 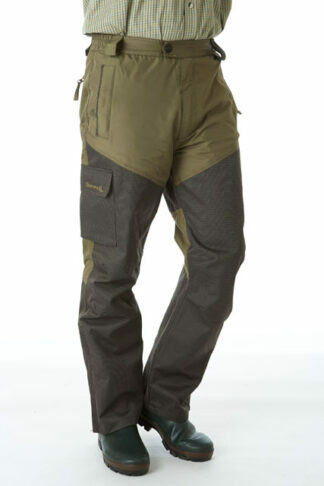 The fabric is a mixture of wool and nylon so you get all the thermal benefits of wool and all the durability of nylon. 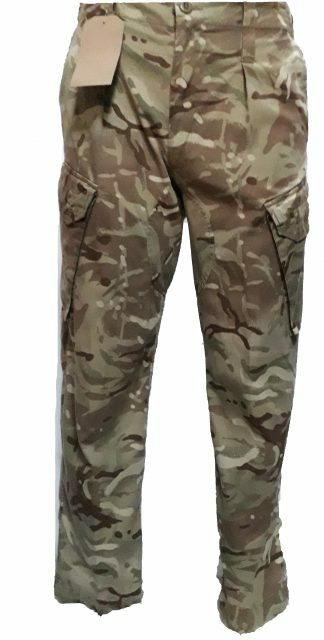 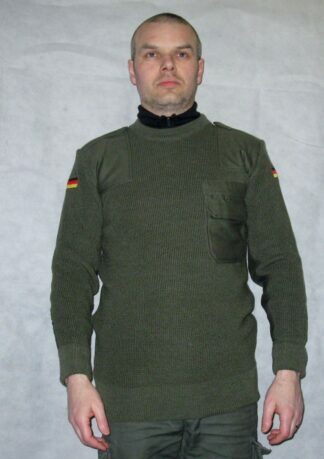 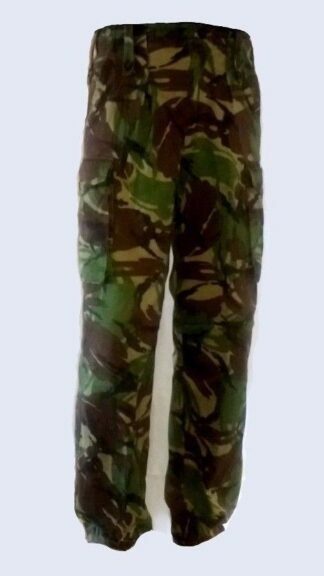 Made in the crew neck style with epilet holders and elbow pads the style is military type uniform and the performance is of high German military standard. Elasticated throughout means that this jumper is worn neat which keeps in more body heat in the colder weather, elasticated cuffs prevent the arm from hanging over your hand which is important when working with plant or machinery. 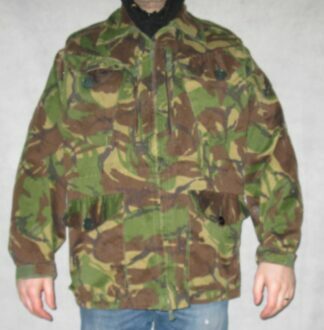 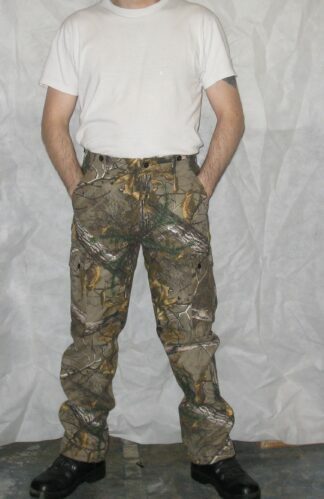 The waist line is also elasticated which will prevent the draught from blowing up yer back. There is a practical breast pocket which will hold a packet of fags if you’re a smoker,a notepad if you’re a noter or a smart phone if you’re a ringer.